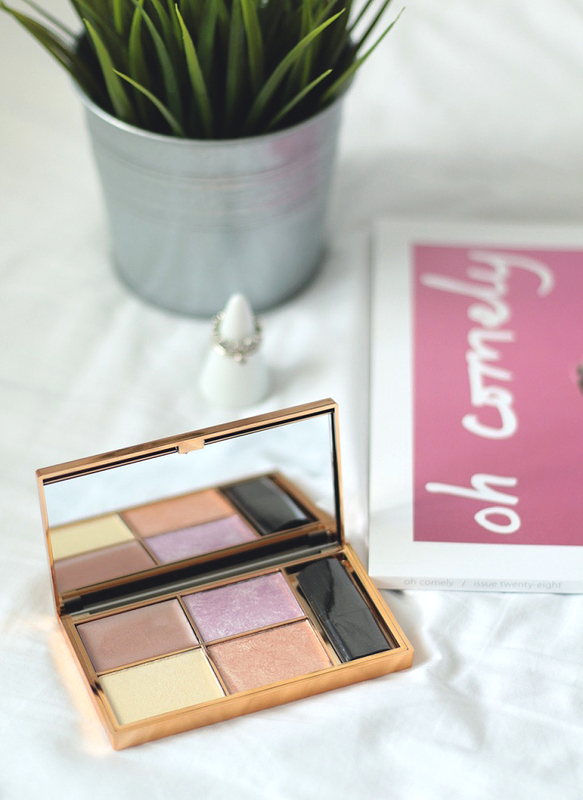 The blogging world has gone pretty crazy for this drugstore palette, and I can now understand why. Sleek are a brand that I’ve loved for quite a few years now, I used to love their blushers so much. This palette has been around for quite a while but I was skeptical about picking it up because its a drugstore palette, I was unsure if the pigmentation of the highlight would be any good etc. Boy, was I wrong. The Sleek Solstice Highlighting Palette is a smallish palette that consists of four different highlight shades. Each one is very individual and nothing like I’ve seen before to be honest. There are three powder highlights and one cream (the top left one). I’ve been enjoying using the cream highlight under my brow bone to put some emphasis on ma eyebrows haha. The other three are just so beautiful dusted along the cheek bone. My favourite two have to be the shades Subsolar (the yellow highlight) and Hemisphere (the purple highlight). I never thought I’d use a purple highlight but it gives the loveliest glow to the face its amazing. Each shade has good pigmentation which is such a plus for a drugstore product. And finally, look at that packaging though. It looks so nice sitting alongside my other makeup, although it does get fingerprints on it quite easily due to the finish of it. But I can definitely get over that, since this is probably my new favourite palette to highlight with!